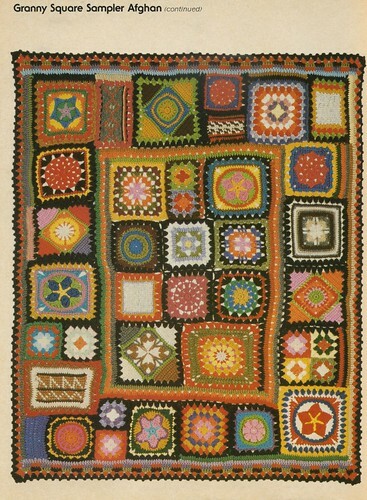 February 27, 2007 by tricia royal in crafty cool-, fashion musing, this inspires me! being an avid thrifter, lover of old objects and design, and a person always interested in fashion and form, i have long been a collector of vintage craft books, magazines, and pamphlets. stacks and stacks of the aforementioned clog my bookshelves, fit into magazine organizers, and boxes. it almost goes without saying that much of what came before makes sense in the context of today. my collection contains crafty goodness that hails from disparate decades that span from the sleek 1930s to the over-the-top 80s. somehow it all makes sense in the mixed up fashion soup that constantly cooks inside my brain. 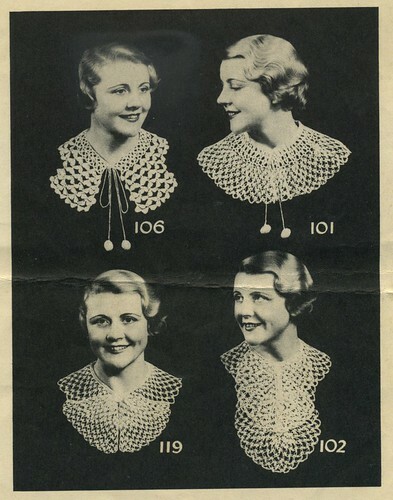 i particularly love these crocheted collars from the 1930s! 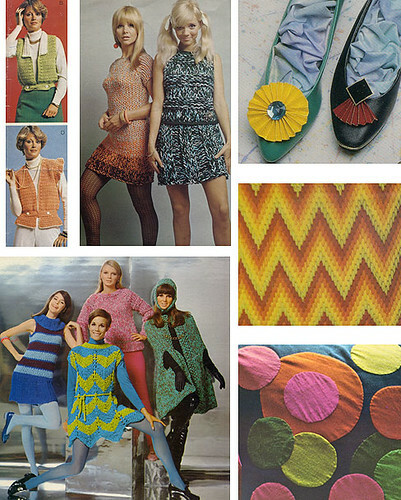 they look very staid in the photograph above, almost nun-like, but i can see them in riotously bright hues over a modern, almost 60s-esque tent-style or a-line dress, also in a bright color. perhaps colors that are eye-splittingly contrasting. something of that nature, as is my nature and my aesthetic.